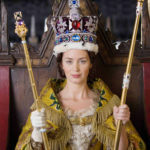 Cast : Emily Blunt, Rupert Friend, Mark Strong, Miranda Richardson, Jim Broadbent, Paul Bettany, Harriet Walter, Thomas Kretschmann, Jesper Christensen, Julian Glover, Michael Moloney. 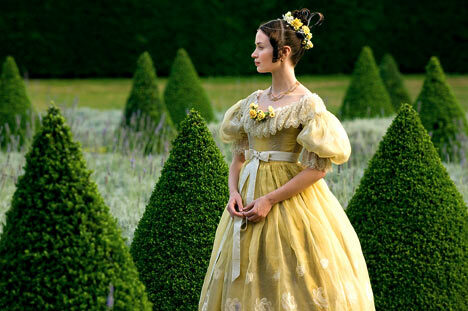 Synopsis: A young Victoria is soon to become Queen of England. Before she does, though, she must overcome persecution from her own mother and the evil man who controls her. Review : Intriguing, sumptuously mounted and delightfully acted film, somehow rings hollow. A lacklustre script, wayward narrative and lack of climax with the films central antagonist, leaves The Young Victoria simply a fairly average period piece that could have been so much more powerful. I have to admit to a surprising amount of disappointment with what was left aside for this films half romance, half political intrigue, plot device. Opens well, yet cannot maintain the dramatic power throughout, and eventually limps home to a laughably inept conclusion. There’s something to be said about period films, in that they make me so glad I don’t live back then. The Young Victoria, which details the early life of Queen Victoria, is no exception. By and large the behaviour of these so called “privileged” folks is dreadful by today’s standards. It’s enough to make my teeth grate and my skin crawl. Political intrigues notwithstanding, both Edwardian and Victorian England would be annoying as hell to live in. The trials and tribulations of the social upper-class is very stifling to watch, with more going unsaid that means so much more than what is. I made mention of this in my review of The Other Boleyn Girl, and I will most likely say it again in future should I review a film based on period English upper-class. Hey, check out my bling! 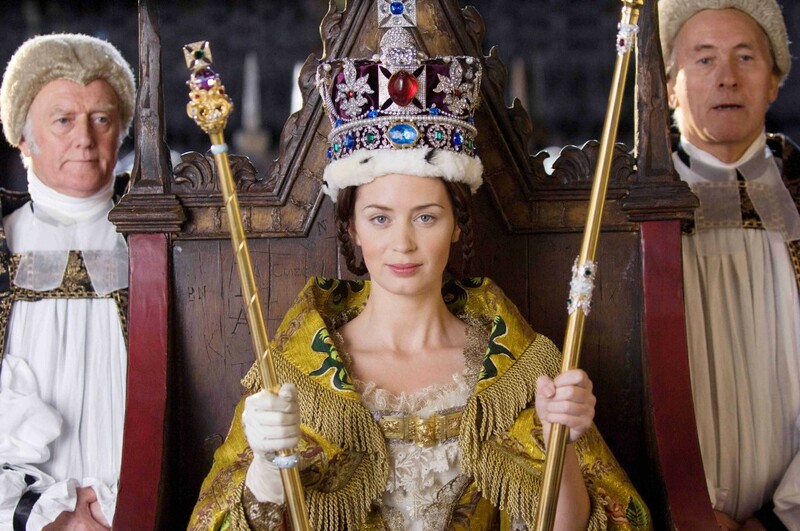 Emily Blunt plays the title character, a pre-regal Victoria, beset by the scheming of her mother (and her mothers vile comptroller, John Conroy) to attain a regency of the royal line until she reaches adulthood. Conroy, played by Mark Strong (who many would have seen in films like Rocknrolla, Sunshine, and the recent Sherlock Holmes flick) is the films central villain, although the film seems to take great pains to limit the level of his antagonism. Victoria is also wooed by her cousin, Albert, who himself is pushed towards her by his scheming father to attain attachment with the royal household. Albert and Victoria make an unlikely, yet interesting, romantic couple, and there’s plenty of opportunity for them to cosy up to each other. The Young Victoria shuns overt sentimentality towards one of England’s most famous monarchs, instead trying to give her a realism and depth that history tells us should be enough for an entire miniseries. However, for everything this film does right, there’s a bunch of things to look at negatively. What’s that? You like footy? Sweet! First, the films casting is probably the one thing that prevents it from becoming a complete miasma of toffed-up dresses and “yes ma’am” pomposity. 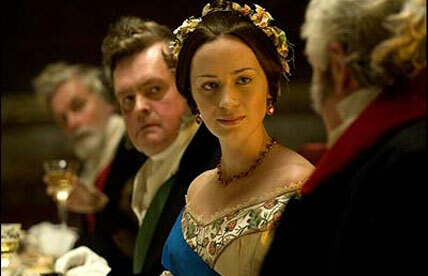 Emily Blunt is absolutely terrific as Victoria, commanding the screen in a powerful, yet criminally underwritten role. She channels royalty like nobody’s business, perhaps only the wonderful Dame Judi Dench captured Victoria as well in Her Majesty Mrs Brown. Blunt is shows both a tender love and a staunch strength in her portrayal, and her chemistry with co-star Rupert Friend (as Albert) is genuine. Friend, himself no stranger to period films after appearances in The Libertine and Keira Knightley version of Pride And Prejudice, does an equally great job as Victoria’s intended lover, thanks to his father and business associates. Initially steadfast in his mission to woo the future queen, he eventually comes to realize that he actually does love her, over and above his fathers objections to the contrary. Mark Strong performs the vile John Conroy exceedingly well, and I think of all the cast he’s probably the best of the lot. His malevolent nature, his brooding vendetta to attain control over the future Queen through a regency, are all raging behind Strong’s eyes here, and the actor does a sterling job convincing us of just how reprehensible and ambitious he is. Miranda Richardson is cast as Victoria’s mother, the brother if the current King (William IV, played by Jim Broadbent), who is alternately trying to remain emotionally close to her daughter, and distant enough to keep her attachment to Conroy. 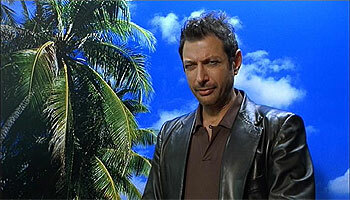 Of all the characters in the film, Richardson is the most sympathetic. She’s essentially browbeaten by Conroy into brainwashing and belittling her own daughter to further the mans own ends, and this eventually tears her apart from Victoria. Jim Broadbent, as the King who reigns prior to Victoria ascends the throne, is wonderful (when isn’t he!) and his sly eye-glint at Victoria each time indicates just how promiscuous his “kindly old man” routine has become. Broadbent hardly has to stretch his acting skills here: regardless, he’s always great fun to watch, and this is no different. Finally, Paul Bettany arrives on the scene late to become the new Queens senior advisor, (then Prime Minister) Lord Melbourne, who would remain by her side in that role for a further four years. Bettany isn’t given much to do in this film, and it’s here I want to start in on one of The Young Victoria‘s most annoying problems. Screenwriter Julian Fellowes (an Oscar winning writer on films like Gosford Park and Vanity Fair) seems to have cobbled together a pastiche of Victorian anecdotes and shoehorned them in and around a teen-angst romantic drama. The script tries to cover so much material, there’s little time to dwell on almost anything that’s happening on screen. You simply have to take what you see at face value. Skipping through time and space, linking various “politicising” moments within such a scale would be difficult, but Fellows can’t seem to get a real handle on the humanity of the events. On one side, we have the machinations and scheming on all sides of Victoria that threaten to either take away her birthright, or usurp it from within. On the other, the foundling romance between the young Queen and Albert. 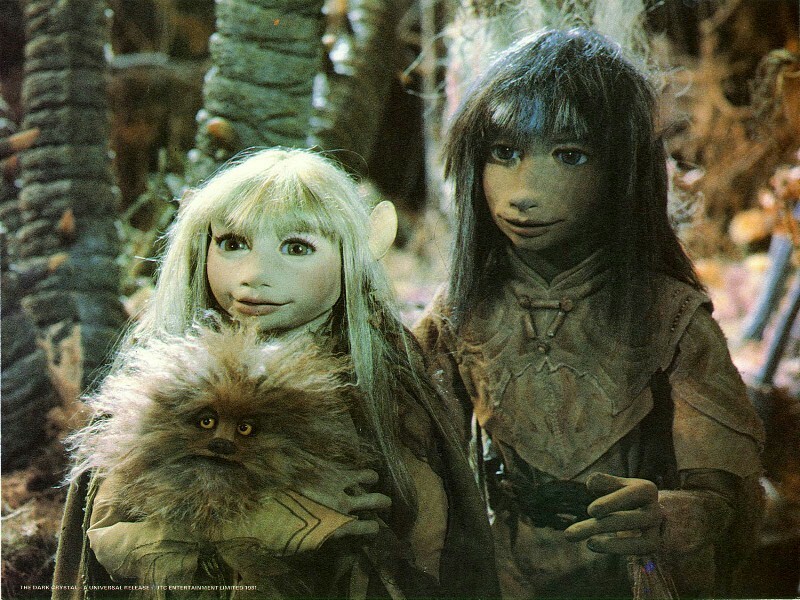 Fellows’ script tackles each part of the story with the same level of mediocrity, leaving the entire film somewhat shallow, devoid of depth and ultimately, giving us nothing new.The characters beyond Victoria, her mother and Conroy, are pretty generic period stock, allowing merely for the transfer of information rather than a natural progression of the plot. Even Conroy himself, set up as the films chief villain, is written out of the story at the end with little more than a cursory glare at camera, before a single line of dialogue puts paid to his schemes for good. Is that all? I asked myself. Such a great character, his story and story arc built up in the first half of the film, I’m invested now: and the final pay-off is for him to simply walk of camera and that’s it? Huh? I must have missed something. Lord Melbourne arrives on the scene and proceeds to all but take over the film, and then it ends. Albert’s investment in the story, as a romantic interest, is limited to lingering glances and one great argument scene (towards the end) that, had it been allowed to nurture, could have taken the film is a truly revelatory direction. As it is, even this romantic love story ends with little more than a cursory “happy ever after” title card, and a fade out. To be honest, the ending of this film stinks of last minute studio interference, although I can’t back that up with genuine internet confirmation. It’s lazy, half-baked “we need to finish this up” rubbish that undoes all the excellent work in the first hour or so. The Young Victoria probably needed an extra hour or so, and a tightening up of the script to focus on one particular area of the Queens life. Indeed, I asked my wife half way through if she’d figured out what the point of the film actually was! It’s neither romantic drama, nor political intrigue, but a mismatched Frankensteins Monster of the two. It’s a film of substantial missed opportunity. You want to do what with my cat? French director Jean-Marc Vallée has a wonderful eye for framing a scene, and understands the film medium like almost every great French director I’ve witnessed. His use of lighting and shadow are all beautiful to watch, like a documentary artwork brought to life. Period films always look wonderful on film: they have to, because eagle-eyed viewers will spot any errors, and thus the production has a level of accuracy to attain regardless of the budget. Hagen Bogdanski’s wonderful cinematography complements Vallées work here. The Young Victoria looks stunning. So to the music from composer Ilan Eshkeri (who also scored Layer Cake, Stardust, and the Neill Marshall flick Centurion) is perfectly matched to the screen imagery. From a production perspective, technically this film is amazingly good. Co-produced by the Sarah, Duchess of York, and Martin Scorsese, one wonders how such a handsomely produced film managed to blow its wad so late in the story. Eagle eye viewers will also spot a cameo by the Duchess’s daughter, Princess Beatrice. Nepotism: it’s a wonderful thing in Hollywood, when you need to fill out a crowd scene! He asked her to pass the salt. She hated him for that. So why was I so disappointed by the film then? Because the script never went anywhere, the film ended much too soon and left so much unfinished: a rushed conclusion that smacks of fiddling in post production. It promised so much, nearly delivered what I expected, and ultimately capsized under the weight of its own potential. What does The Young Victoria try to teach us, what’s its story? Honestly, I don’t know. For that reason, and a truly ghastly narrative faux pas in writing out your chief villain with nothing more than a single line of explanatory dialogue, I have to deduct a few points. The Young Victoria starts well, but collapses towards the end. Super awesomely cool!! – Piranah 3D trailer online here! !